MiSoEngineer: How to install .NET Framework 3.5 Offline in Windows 10 [FIXED] ! 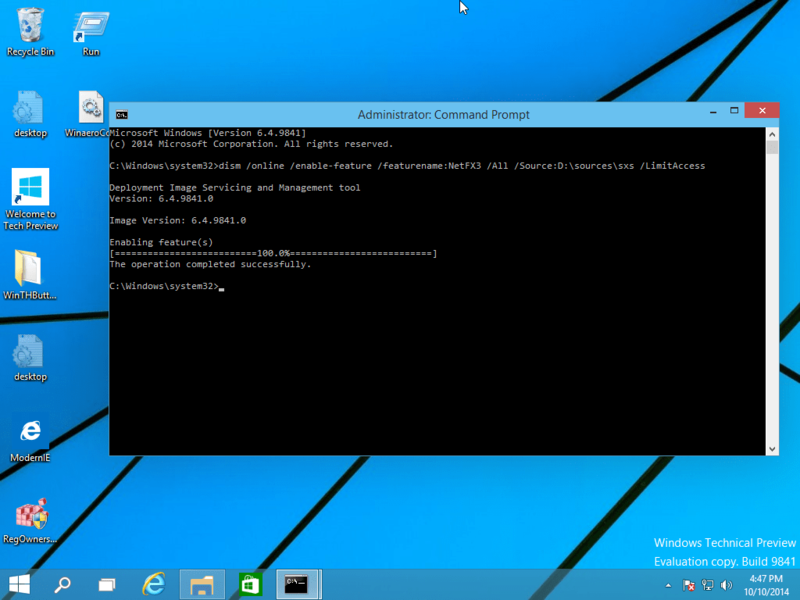 How to install .NET Framework 3.5 Offline in Windows 10 [FIXED] ! Replace D: with your drive letter for Windows 10 installation media. done! This will install .NET framework 3.5 in Windows 10. To save your time, I have prepared a simple batch file which will save your time and will find the inserted installation media automatically. 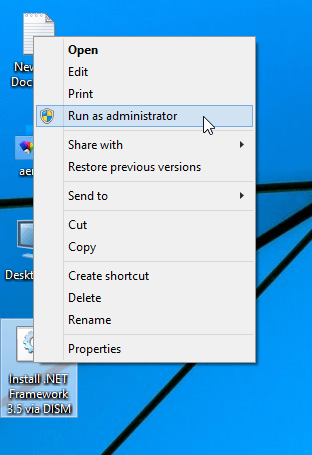 Download the file, extract it from the ZIP archive to the Desktop, right click it and choose Run as administrator. The file will install .NET Framework 3.5 automatically after finding the drive letter of your Windows 10 installation media. Bytebx Is A free cloud storage site thet lets u upload files to your account using Many Methods. Its Best Feature Is That It Is A Torrent Leacher Site So That You Can Download Torrents Using Its premium features are much better then Free Account And Today I Came With Latest Trick To Get Premium Account For Free. How To Get Premium Accounts ?